"Emperor" movie quotes tell the tale of American General MacArthur who is tasked with running a speedy investigation over whether the Imperial General should be held accountable for his actions following the end of World War II. Based on the book "His Majesty's Salvation" by Shiro Okamoto, "Emperor" was written by Vera Blasi and David Klass and directed by Peter Webber. "Emperor" was released in theaters on March 8, 2012, following its premiere at the 2012 Toronto International Film Festival. 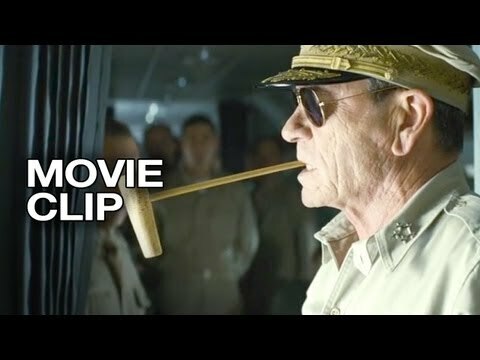 In "Emperor," Tommy Lee Jones portrays General Douglas MacArthur who receives an order to investigate, in just ten days time, whether or not the Imperial Emperor should be pardoned or tried and punished for his role in the bombing on Pearl Harbor. MacArthur and his men land in Japan to begin the task knowing full well that he's entering an enemy zone where Imperial troops are still on the offensive and where the country is so torn apart that the slightest wrong move could have extreme consequences there and on the whole world. 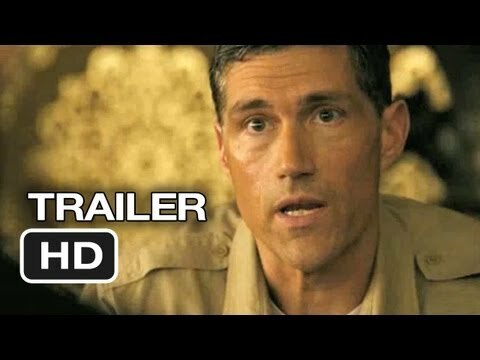 General MacArthur assigns the investigation to General Bonner Fellers (Matthew Fox), knowing that Fellers has a great deal of experience in Japan. Fellers attempts his best to extract evidence and information for General MacArthur, even contacting a woman he met many years earlier in Japan, Aya Shimada (Eriko Hatsune), but is unable to find little more than rumors and conjecture. This leads both men into a very delicate situation where they must decide how to balance justice for the Americans and complete destruction to an already hurting Japan. If you're not into war movies, there are plenty of other films available at the same time including "A Glimpse Inside the Mind of Charles Swan III," "Side Effects," "Identity Thief," "Hansel and Gretel: Witch Hunters," "Stand Up Guys," "Warm Bodies," "Bullet to the Head," "Movie 43," "Django Unchained," "Killing Them Softly," "Hitchcock," "Skyfall," "Lincoln," "Flight," "Playing for Keeps," and "Silver Linings Playbook." Fumimaro Konoe: "It's not black and white." General Bonner Fellers: "Your skies were filled with kamikazes. Millions died in his name." Fumimaro Konoe: "You incinerated two overall cities." General Fellers confronts an Imperial official and lays out some of the atrocities committed during the war at their hands. Fumimaro Konoe does not see it the same way however as the Americans too have caused massive destruction to Japan as well. General Douglas MacArthur: "I'm making this your job, not Richter's. Ten days, I have confidence in you." General Bonner Fellers: "Sir, I am deeply honored, but…"
General Douglas MacArthur: "You know this country. You love it. You hate it. You've been thinking about has dead on so far and I know you'll meet your deadline because, like me, you don't want those bastards making our decisions for us. The conclusion has to be ours. Pardon the Emperor or depose and arrest, make a decision. Commit it to paper for my consideration and approval." General MacArthur explains why he's selected General Fellers for this investigation by citing his experience in Japan. He is confident that General Fellers can get the job done and is not leaving any option for failure. General Douglas MacArthur: "Gentlemen, we will take no weapons with us when we step off this airplane. Nothing will impress them more than a show of absolute fearlessness. If they don't know they're licked by now, the will get the picture today. Now, let's show them some good, old-fashioned American swagger." General MacArthur gives his troops a pep talk before they deplane in Japan. He encourages them to show their "American swagger" by portraying a sense of accomplishment and fearlessness. General Douglas MacArthur: "Mr. President has given me all of ten days to conduct an investigation into the Emperor's role in the war." General Bonner Fellers: "Ten days?" General Douglas MacArthur: "That's right." General Bonner Fellers: "That's not feasible, sir." In a briefing with General Fellers, General MacArthur introduces their mission, to investigate the Emperor and decide on his fate. As if that wasn't a tough enough task, they only have ten days to complete it.